Thomas-Houston Electric Company merged with Edison General Electric in New York and created General Electric in 1892. The company’s first president was Charles Coffin, while Thomas Edison sat on the board of directors until his departure in 1892. Powerful financial backing through the banking house of J.P. Morgan and a research-oriented business focus led to early success for the company. Along with American Telephone and Telegraph and Westinghouse, GE helped form the Radio Corporation of America (RCA) as an initial foray into radio broadcasting in the 1920s. An antitrust ruling against the company led to General Electric’s 1930 divestiture of its RCA holdings. 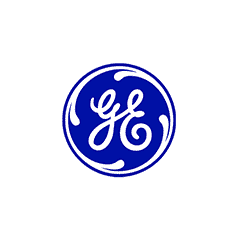 GE grew into one of the world’s largest companies, with $25 billion in revenues, by 1980. It sported a varied line of products ranging from plastics to consumer electronics to jet engines to nuclear reactors. Jack Welch was named GE’s chief executive officer in 1981, becoming the company’s youngest-ever CEO. Welch, who joined GE in 1960 as a chemical engineer and nearly quit a year later, was a driving force in the growth and development of GE. As CEO, his nickname was “Neutron Jack” because he eliminated so many positions and people from the company. He decentralized the company’s operations and shed under-performing divisions such as semiconductors, air conditioning and housewares. Focusing on what he considered more successful ventures, Welch steered General Electric into its acquisition of CGR medical supplies and equipment, Employers Reinsurance, Kidder-Peabody and NBC. General Electric continued its cycle of acquisitions and divestitures through the 1990s and into the new millennium. In 2011 it sold 51 percent of its interest in NBC to cable giant Comcast. Saved by its vast size and diversity, GE neither petitioned for bankruptcy protection nor established a trust to address the more than 400,000 asbestos claims that have been brought against it. Plaintiffs filed lawsuits against GE for asbestos exposure from the company’s steam turbines. Asbestos was used in the production of the turbines that were installed in 22,000 sites across the United States. Many of the individuals were exposed between 1966 and 1986. The claims against GE were brought by government employees, including steel workers, shipyard workers and Naval employees who were exposed to General Electric-built equipment that was manufactured to government specifications that required the use of asbestos. Workers who installed, repaired or worked around such turbines may have suffered asbestos exposure. In 2015, a British Medical Journal article reported rates of asbestos-related deaths in Belgium between 2001 and 2009. According to the data, former power plant workers are over eight times more likely to die of mesothelioma than the general population. Exposed to Asbestos at General Electric Company? Arthur Montgomery worked at a Port Everglades Power Plant, wiring, installing and insulating General Electric turbines. Montgomery was exposed to asbestos dust during this process, which contaminated his clothing. Montgomery’s wife washed the clothing and was later diagnosed with mesothelioma, which took her life. The case was reviewed in 2011, when General Electric motioned for summary judgment. The court of Delaware denied this motion. Howard Plumb was also diagnosed with mesothelioma from asbestos exposure. Plumb used General Electric’s asbestos-containing electric cable in 1941, when he worked as an electrician’s helper. A New York Supreme Court found General Electric responsible for $1,470,000 in damages. Those who worked in a General Electric energy production or distribution plant or a manufacturing facility that produced asbestos-containing products should be checked for any development of an asbestos-related disease on a regular basis. Symptoms of mesothelioma can take decades to arise after exposure to asbestos, and treatment is much more effective when the cancer is diagnosed at an early stage. As a manufacturer of electronics, light bulbs, electricity and power generating equipment, General Electric used asbestos in a number of its products, including steam turbines, consumer electronics, appliances and plastic molding compounds used in electrical boxes. Many of its early consumer electronics, such as radios, produced a tremendous amount of heat and were therefore insulated with asbestos panels. The company’s power production plants utilized insulation, cables, furnaces and wires that contained asbestos. Power plant workers, consumer appliance assemblers, electricians, engine assemblers and repair persons are all examples of occupations in which an individual may have been exposed to General Electric asbestos-containing materials. Installation and demolition workers also bore the risk of exposure to asbestos through contact with insulation and wiring that was sheathed in asbestos. General Electric sold asbestos-containing wires, cables and cords under the brand name Deltabeston. They also produced infrared ovens with the brand name Wil-Son Patent-Flex. In Appalachian Insurance Co. v. General Electric Co., the judge made a ruling in 2010 concerning insurance coverage suits. The ruling only applied to insurance coverage of turbine asbestos claims. The judge determined that GE would have to file new claims with its insurers for the non-turbine asbestos claims against it.